Providing technical assistance and tools to address abandoned and dilapidated buildings in West Virginia. On November 14th, the Northern Brownfields Assistance Center will be hosting the 2017 BAD Buildings Summit at the Erickson Alumni Center in Morgantown, WV. At the BAD Buildings Summit, you can learn how to rehabilitate Brownfields, Abandoned, and Dilapidated (BAD) Buildings in your community by networking with other leaders across the state dealing with the same challenges. Participants will see presentations by resource providers, practitioners, and technical experts on topics including demolition, codes & ordinances, funding, resources, engaging stakeholders, and sustainable reuse options for vacant properties. Only a few spots remain before registration closes. Don’t miss out on this great opportunity to learn more about making an impact in your community and state. You can register here before the last few tickets are gone. To learn more, please visit the 2017 BAD Buildings Summit page. 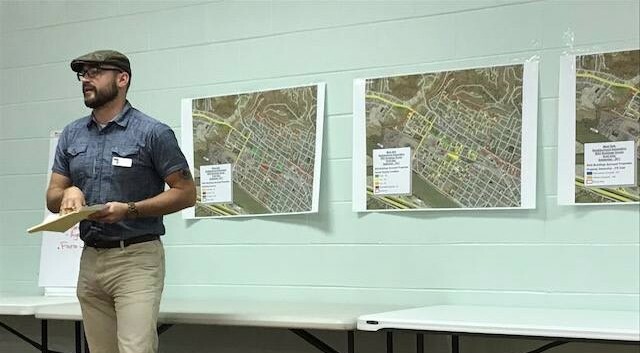 The BAD Buildings Program provides technical assistance and tools to address abandoned and dilapidated buildings in West Virginia.